The emerging emphasis and integration of design thinking in a wide spectrum of business organizations is responsive to an unpredictable and complex world (Brown, 2016). Thus, continuous innovation and creativity is essential for organizations to compete effectively and succeed (Brown, 2016). Design thinking provides organizations with an effective unconventional and integrated way to develop innovative ideas (Brown, 2009). The design thinking methodology involves a continuous process through various stages which enable framing and re-framing a problem, following iterative questioning, provides for a subsequent selection of the best or optimal solution (Mickahail, 2014). Reframing of the problem may take place in each one of the design thinking stages of empathize, define, ideate, prototype, and test (Mickahail, 2014). The design thinking approach enhances organizational leaders’ ability to empower others to lead creative action (Brown, 2016). The methodology breaks away from traditional boundaries and provides human engagement to generate creative solutions. The U.S. Army’s recognition of the merits and potential outcomes of comparable design thinking principles is traced to its integration into the Operations Process Field Manual (FM) 5-0 on March 2010 (Martin, 2010). Although a debate may exist regarding previous initial use of design methodologies, the institutional Army declared the formal introduction of design as a “creative thinking methodology” versus a process or step-by-step approach in 2010 (U.S. Army FM 5-0, 2010, Foreword). The 2010 Operations Process FM was superseded by the Army Doctrinal Publication (ADP) 5-0, but retained the design methodology as an integral complement to the Commanders’ military decision-making process (MDMP) and troop leading procedures (TLP) (U.S. Army ADP 5-0, 2012). 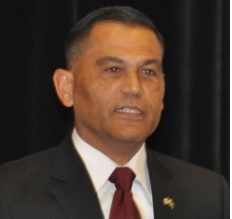 The integration of methodology which facilitates the development of a critical and creative mindset enhances the understanding and responses to the Army’s potential operational challenges, while facing an “unpredictable, unknown, and changing” complex world (General Perkins at AUSA, 2015; U.S. Army ADP 3-0, 2011). Improved understanding, visualization, and description of the problem gained through the design iterative methodology strengthens commanders’ guidance for the planning process (U.S. Army ADP 5-0, 2012). Essentially, the methodology provides commanders with a bridge between conceptual understanding of the problem and the traditional planning processes. The integration of design thinking methodology into the Army is essential to understand problems and generate solutions to the challenging threats of complex and fast paced operational environments. The current U.S. Army conceptual view of the future conflict environment assumes is unknown, continuously changing, with unpredictable threats at unknown locations, and uncertain coalition relationships (U.S. Army AOC, 2014). Consequently, design thinking practices at all levels of leader development are crucial to the success of the U.S. Army’s operating concept’s innovation objectives (U.S. Army AOC, 2014). The Army’s Leader Development Strategy (ALDS) is supportive of the operating concept’s priority of retaining the organization’s competitive advantage, its leaders (Odierno, 2015). Thus, the leader development strategy is focused on producing “agile, adaptive, and innovative” leaders who can succeed in uncertain and complex environments (Odierno, 2015, p. 9). The use of design thinking principles in the leader development areas of training, education, and experience are supportive of the development of “innovative leaders of character” already operating throughout the world in complex missions (Gen Allyn at AUSA, 2016). Current design thinking approaches of engaging others through collaborative and iterative problem framing and reframing to arrive at suitable solutions (Kembel, & Utley, 2012) are commensurate with current Army leader development practices. Leader development practices of increasing shared understanding of objectives, realistic training, and execution of decentralized operations in complex environments can produce agile mindsets (AUSA, 2016; Odierno, 2015; U.S. Army TRADOC, 2014). These practices reflect collaborative approaches, bias toward human-centered approaches, and action (Kembel, & Utley, 2012). Design thinking is more important than ever for the development of agile, adaptable, and innovative leaders in the U.S. Army. As Martin (2010) highlighted at the onset of the Army’s integration of design thinking, while leaving analytical thinking may be a challenge for a traditional institution, six years after initial integration, leaders at every echelon must continue to be empowered to reflect and contribute on solutions to overcome the potential perils of an uncertain world. Brown, T. (2009). Change by design: How design thinking transforms organizations and inspires innovation. New York, NY: Harper Collins.